Here’s some exciting science news that is sure to remind you just how awe-inspiring nature can be: Researchers have discovered that elephants experience mourning when they drop a plate of nachos facedown on the ground. Incredible! It just goes to show how extraordinary these animals truly are. 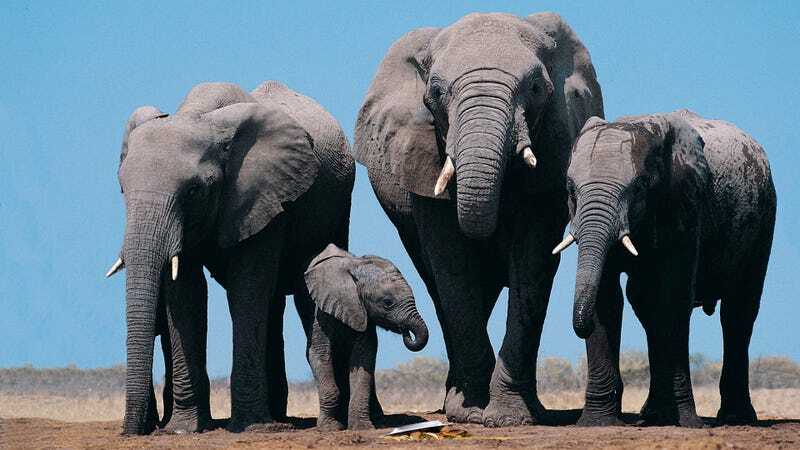 The amazing phenomenon was recently discovered by a team of zoologists at Johns Hopkins University, who over the course of their study observed numerous instances of elephants expressing profound anguish and sadness after accidentally dropping a plate of nachos they were eating on the ground. The elephants were repeatedly documented gazing mournfully at their spilled nachos and tenderly nudging them with their trunks as if in denial that they were ruined, exhibiting an almost human-like level of emotional intelligence. The researchers noted that there does not seem to be any practical evolutionary purpose behind the elephants’ mourning, suggesting that the behavior is not driven by survival or necessity and rather is indicative of a deeper emotional bond with nachos that defies scientific explanation. Wow. It seems like humans may have more in common with elephants than we thought. Nature truly is amazing!